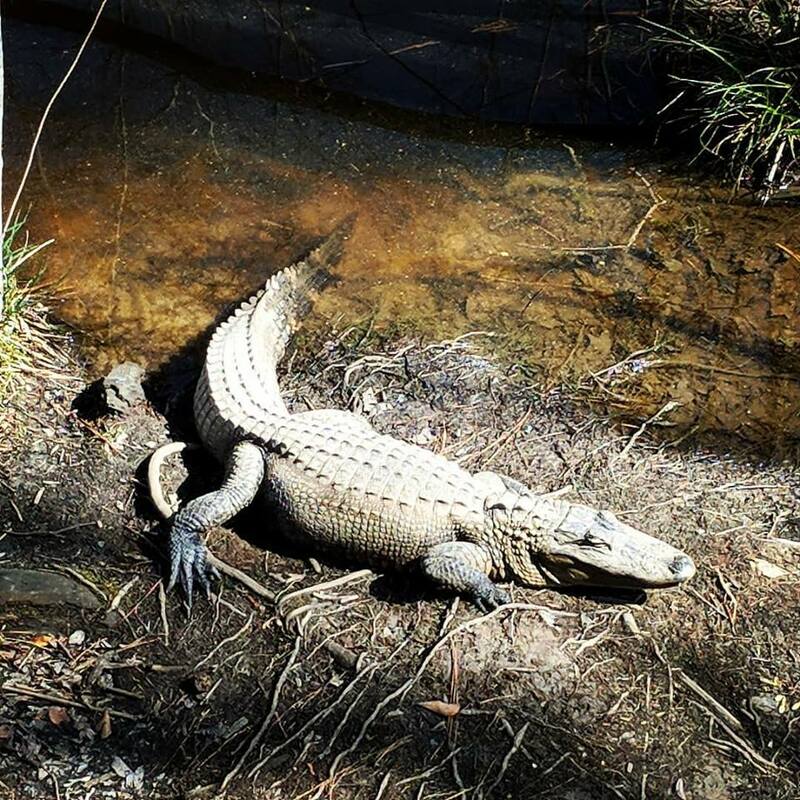 When guests come to The Swamp Park one of their favorite things to do is visit with our alligators. The Swamp Park is currently home to ten American alligators located in two natural outdoor enclosures and one tank indoors. Our congregation range in age from just over one-year-old to approximately fifty years old and from roughly ten inches to over eight feet! The American alligator can be found in the US from North Carolina to Texas and in slow-moving rivers, marshes, ponds, lakes, and swamps. 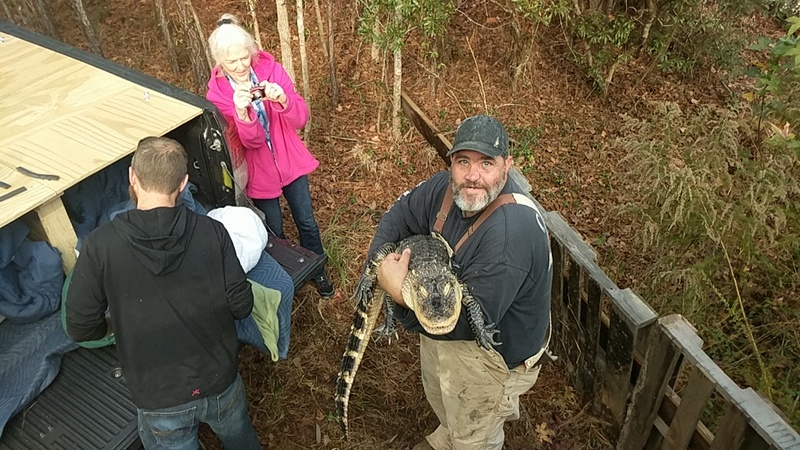 About once a year you will see a news report of an alligator being removed from one of the Brunswick County beaches. While it is true alligators are freshwater reptiles they do have the ability to tolerate salt water for a brief period of time but not much more than that. Alligators do not possess a salt gland. These freshwater dwellers are carnivorous creatures feeding on most birds, frogs, snails, some fish, and mammals that find themselves at the water’s edge. Our gator residents enjoy a diet of chicken and fish. Feeding time is a fun time! 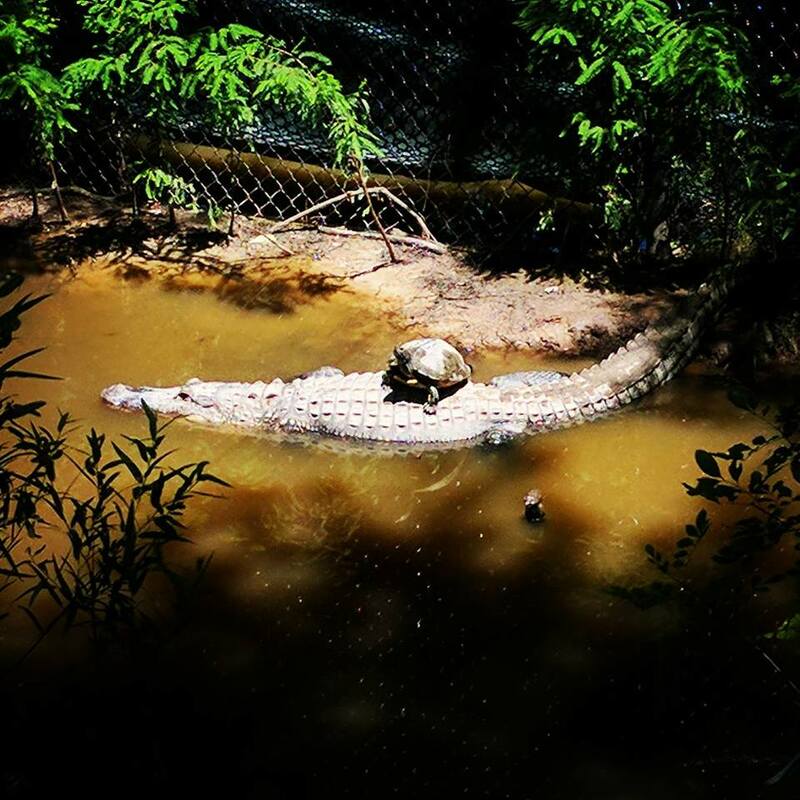 The Swamp Park is home to North Carolina’s only privately operated licensed and certified alligator and reptile rescue sanctuary. We work closely with North Carolina Wildlife Commission to ensure these prehistoric beauties enjoy a leisurely lifestyle. Our rescued friends have been in captivity for most of their lives, and cannot be released back into the wild. The other alternative option for these Gators would have been euthanasia. Either through confiscation or surrender, these fantastic beings have come stay with us. 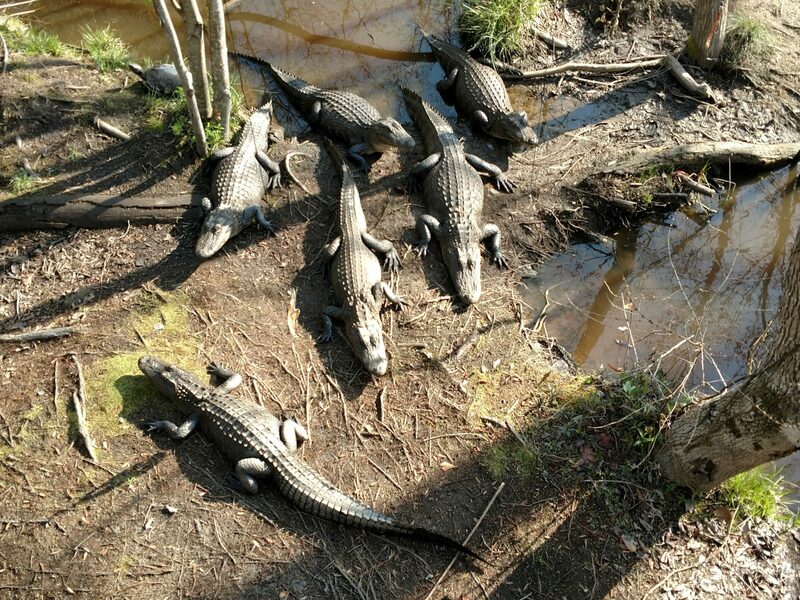 They are now enjoying the good life-no bathtubs or concrete ponds for these kings and queens of the swamp.